Do you need to have your waterproofing system serviced? 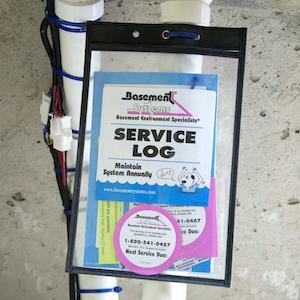 Or maybe you are looking for answers to questions about your system, such as: Who should you call with a question about your waterproofing products installed by Frontier Basement Systems? What do you do if your sump pump alarm goes off? How often should your sump pump be serviced? When is it time to change your SaniDry™ filters? 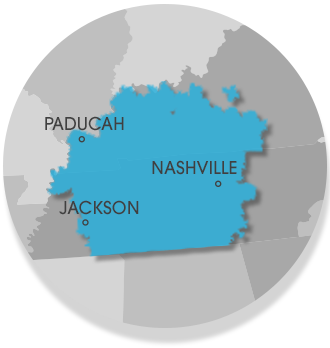 If you need help or you have a question for us, we have an extremely knowledgeable staff ready to give you an answer. Contact us today! Why do I need to get my sump pump serviced? When does the warranty on my sump pump expire? What if I ripped my crawl space liner by accident? Should I have a battery back up installed? How can I tell if my sump pump is overworked? What if I didn't get my warranty information? What happens to my warranty if I move? How do I know if my UltraSump® battery has enough charge? What can I do about the humidity in my basement? Your sump pump, dehumidifier, and other waterproofing equipment need routine maintenance just like your car. For your peace of mind, we recommend scheduling annual maintenance to help prevent problems before they happen. We have experienced technicians to service you waterproofing system. Our servicemen are fully-trained waterproofing professionals who can help solve your problems and concerns regarding your waterproofing system. During your service appointment, it's best to start by letting your technician know about any specific questions or problems you have, and they'll do their best to provide you with an answer or solution as quickly as possible. Your service technician will also check for potential problems in your crawl space or basement, making sure you aren't caught off guard should an issue arise. Call us with any questions or concerns at 1-866-682-4420. We'd be happy to assist you with your basement and crawl space questions and concerns. Our customers are raving fans of our service department, and we know you will be too!